Didnt knew lindt had that good chocs, my wife knew it and yesterday saw an add of them on tv!!! Anyway thank you soooo much.....!!!! For these who fear ferrari: do you really think kimi is so stupid and dumb to sign a contract which is not to his likings? And we dont know the real story of 2009, kimi alreadyvsaid it is different from what is written. I believe dom really wanted kimi, and he finally convinced ldm too because ldm and alonso seems to be in a big fight. James Allison will be there too, and i am pretty sure he will take slade with him this time too. Do some people realise how good this is for kimi's name and fame? The reds never took someone back, everyone will be very surprised and by this move!!! It is z huge thing for kimis career and imagen how alonso will feel? His confidence will be much lower... And tbh this move also shows me that the team is not 100 percent behind alonso anymore. No way that back in 2010 or 2011 ferrari would have accepted a driver near alonso as good as kimi. 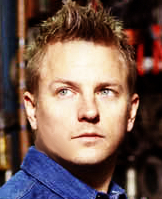 No, I don't think Kimi is stupid so I don't believe he signed with Ferrari at all. It's not only the past, forgetting that I still don't think it would be a good decision. But seriously do you then think the first time Kimi was stupid to sign a contract where they could screw him? You can't prevent this, you can write all kind of things in the contract but in the end it doesn't matter. Exactly F1 is a complicated business. You can write whatever you want in contracts. Kimi obviously didn't expect he would be regulated to a second driver the first time around. You only need to give a driver the wrong tyre pressures to slow them down, it really isn't difficult, that is why you really need the team to be behind you. It certainly will not be good for Kimi if he is regulated to being Alonso's second driver. Alonso might have the odd disagreement with Ferrari, but at the end of day he has been working there for a long time and Santander pays a lot of money to Ferrari, all you have to do is follow the money in F1 to know where the real power lies. Alonso is Latin he speak Italian, they understand each other culturally. Ferrari's car design hasn't really suited Kimi in the past, Kimi and Alonso have very different driving styles, and they have been designing cars for Alonso for 4 years now. From a practical perspective it would be next to impossible for Kimi to compete against Alonso in these conditions. But Kimi knows Ferrari's political pit first hand and he isn't stupid, I dont believe he is seriously considering Ferrari, the Ferrari rumours are just a means to an end. I'm also worried about Kimi's reputation. We all know how Ferrari and the Italian media can make almost everybody believe that the best F1 driver is the worst. While Lotus PR, along with Kimi's driving, have done wonders in the past couple of years to restore it. And we all know how difficult is to restore a reputation, specially in F1. Maybe if Alonso leaves " title="hmm" /> but even then, I'm not convinced. Once beaten, twice shy. It's like Ja said, we already followed him to WRC, NASCAR, etc., etc., but to tell you the truth, following him back to the F team will take an extra amount of effort from my point of view. Why will RÃ¤ikkÃ¶nen's contract probably not be announced in Monza? "Ferrari has a problem"
When we on 20th August came out with more information about RÃ¤ikkÃ¶nen's contract with Ferrari, our source told us that the reasons why the announcement of the contract will be delayed are '"contractual matters". Now we know more accurately what that means. - One would assume that Ferrari wants to announce a contract of this volume in front of their fans. However Ferrari has a problem: it's not in their decision! It has been stated in the contract that RÃ¤ikkÃ¶nen decides when it's announced. And Kimi doesn't seem to be in any hurry with that matter, our source tells. We revealed the lenght of the contract last time: 2+1 years, where the third year is an option. Back then we told that when the contract will be announced, Ferrari will probably talk about a 2-year contract only. The reason for this is clear. - The third years is an option and that option is specifically Kimi's decision. RÃ¤ikkÃ¶nen gets to decide if he wants to continue the contract after two years or not. Ferrari doesn't have a say in this matter either, unless they take care of the matter with big money like they did last time, our source continues. my gut tells me there's fierce negotiations going on. and yes, i think Kimi may prefer lotus if they get the funding ( the one we hear for so long but have not seen yet ) but i'm convinced now that we just miss too much data and that he is really considering ferrari.